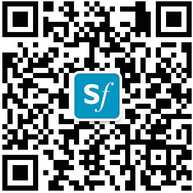 The Shanghai Family 2019-2020 School Directory is OUT NOW! Students from Shanghai American School Pudong tell us about their favorite travel destinations. We asked the pupils of Concordia International School Shanghai what they like most about the holidays. We asked the kids at Nord Anglia International School Shanghai Pudong what eco-friendly things they do in their daily lives. If their answers are any indication, the future looks green indeed!